Go wild for numbers with a rainbow-bright learning book full of stickers and fabulous objects to count! Practise counting all the things in the bright pictures, and learn each number symbol while you play. Count the colourful objects! Play number games with flashcards! Start to write simple numbers with the trace-and-learn technique. First you trace the lines, then write out each number. Mistakes? Don’t worry. They just wipe clean! 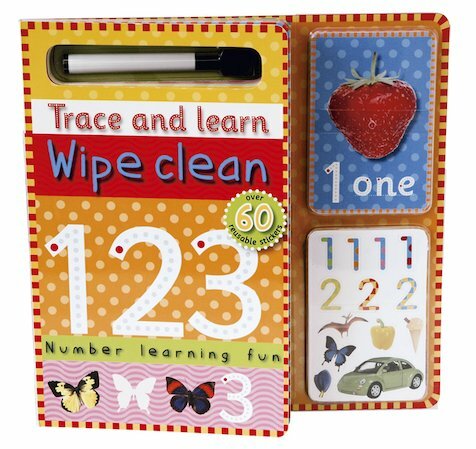 Contains a colourful wipe-clean board book with wipe-clean pen, 60 reusable stickers and a number flashcard set.